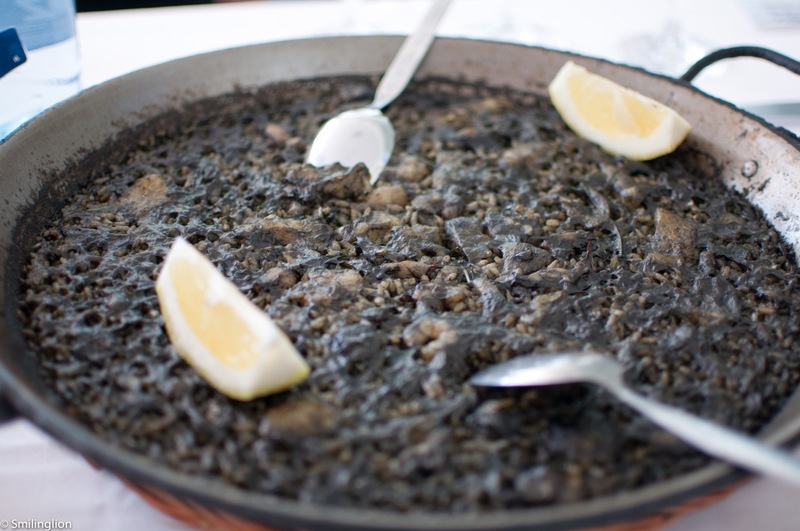 Valencia, Spain's third city, is also the spiritual home of one of Spain's most recognisable foods, the paella. The common man's food, it is a very simple dish of short-grain rice cooked in a large metal pan with olive oil, saffron and water, with either seafood or meats (but never both in the same pan) and simmered till almost dry, and almost always served still in and eaten out of the pan. 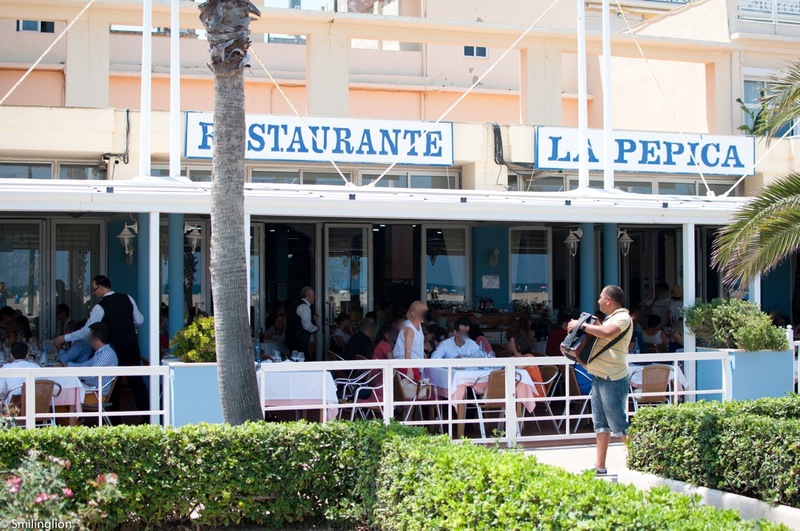 A trip to Valencia just wouldn't be complete without trying it, and of the many restaurants renowned for the paella, La Pepica is one of the most popular ones. 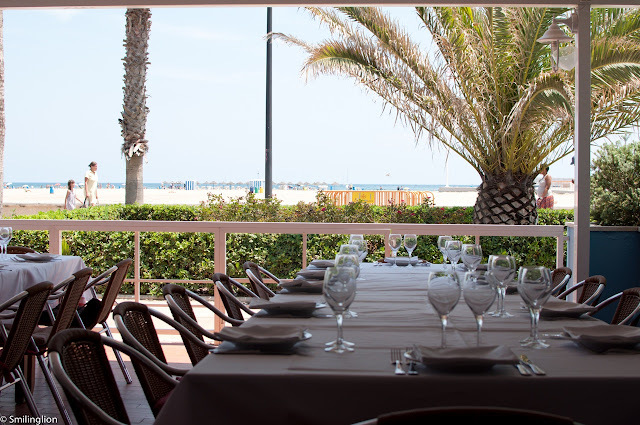 The century-old institution is located by the marina area and faces the bustling Valencian beach, offering views of the sea to the diners sitting in the al fresco area. We went there without reservations and were fortunate to get a table, as the other guests started streaming in shortly after that. Though it is a very large restaurant, the popular outdoor tables filled up very quickly, even on a Tuesday lunchtime. 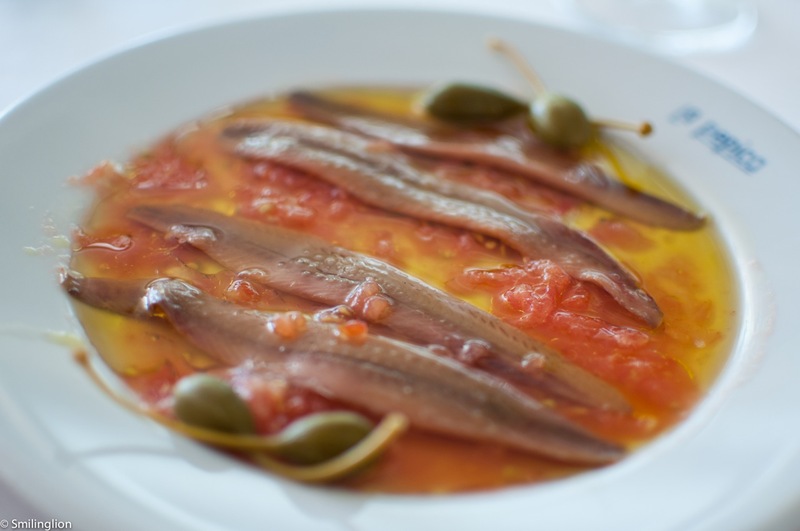 For our starters, we had a classic dish of anchovies in olive oil. We also ordered the famous Valencian orange juice which was very sweet. Then we had fried hake fillets which were also very good. The highlight was the massive pan of arroz negra (which was not technically paella because of the way it was cooked), the black rice with squid ink and squid. It was very good but the portions were more suitable for four persons instead of just us two. We struggled finished it, and were glad that we didn't order any more food. 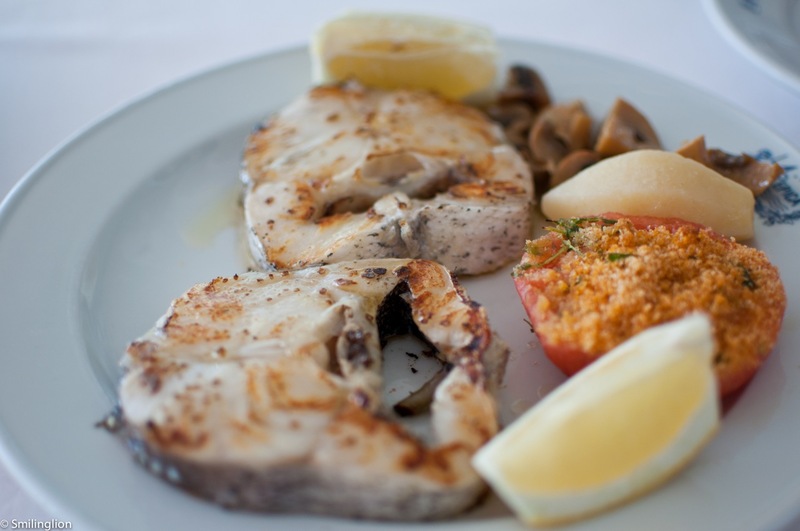 Final Thoughts: La Pepica is worth a visit for a casual meal and a taste of its famous rice dishes. In addition, it is adjacent to the main beach of Valencia and a stroll along the beach here can be very pleasant.